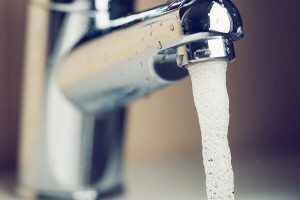 Since 1953, RainSoft has been developing state-of-the-art home water treatment systems for residents of Phoenix, Arizona, and other cities around the globe. All RainSoft equipment is carefully assembled inside our ISO 9001-certified Midwest facility, much of it Tested and Certified by the Water Quality Association or NSF International. Furthermore, every RainSoft product is backed by an industry-leading Limited Lifetime Warranty, so you can be confident that your investment is – and always will be – protected. Water softener – We currently manufacture two different types of water softeners, the fully automated EC4 Series and the timer-operated TC Series. Both are capable of producing an unlimited supply of luxurious soft water that your family will be able to enjoy throughout your home. Drinking water purification system – We can install a drinking water filter that gives your entire household 24/7 access to crisp, refreshing water right at the kitchen tap. Never again will you have to rely on costly bottled water for great-tasting H20. Whole-house filter – We offer a variety of problem-solving filters that are designed to address specific water supply irregularities and contaminants, such as low pH, high iron content, bitter tastes, “rotten egg” odors, and visible sediment. Together, these premium products will alleviate any concerns that you might have about your water quality. Your local authorized RainSoft dealer in Phoenix, AZ, will be able to recommend the best RainSoft products to create the most effective home water treatment system for your family. Contact us today to schedule your complimentary in-home water hardness and drinking water test.